Gain maximum Oracle Database knowledge and meet international specialists from all over the world. 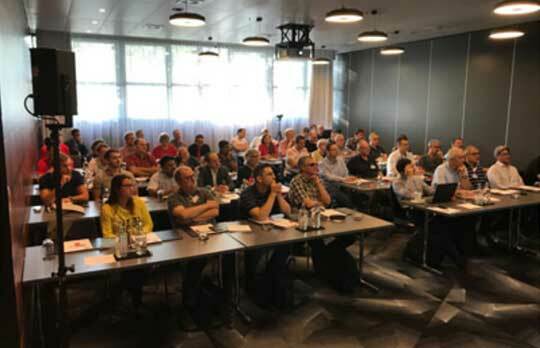 Trivadis is very pleased to organize the 9th Performance Days congress with top guest speakers in Zurich. This year’s focus will be on Oracle Database performance and query optimization. 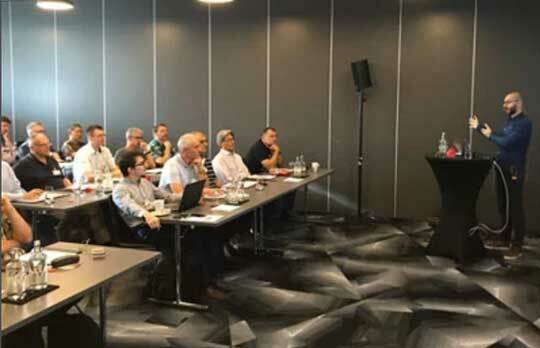 Since performance is not simply a product one can buy but rather the results of an accurate planning and a correct implementation, the seminars will present valuable techniques not only for troubleshooting performance problems, but also to avoid them in first place. Performance Days will provide a lot of valuable and practical information to diagnosing, resolving and avoiding performance problems in applications involving Oracle Database. Who are the exclusive speakers on the 9th "Performance Days" Convention? If Christian is not helping one of his customers get the most out of databases, he is somewhere lecturing on application performance management or database performance features. 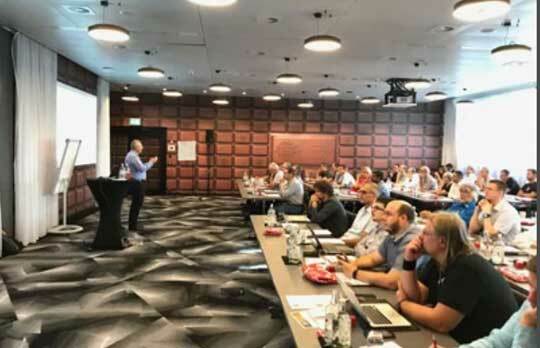 In addition to classes and seminars organized by Trivadis, since 2001 he has presented at 100+ conferences and user-group meetings in two dozen countries. He is a proud member of the OakTable Network and is an Oracle ACE Director. Christian is the author of Troubleshooting Oracle Performance (Apress, 2008/2014) and the co-author of Der Oracle DBA (Hanser, 2011/2016). Ivica is a Database Engineer at Pythian, with main focus on database performance and systems stability. Ivica is an Oracle Certified Master for versions 12c and 11g, and a recognized member of the Oracle ACE Program as an Oracle ACE. He is an active contributor to the Oracle community, he has spoken at numerous Oracle conferences including Oracle Open World. Ivica is also maintaining his own blog where he shares his professional knowledge. Known for his deep Oracle expertise and ability to troubleshoot efficiently, Ivica has the skills to identify and approach problems in analytical manner regardless of size and complexity. Mark Ashdown has worked with the Oracle Database for over twenty five years and before that with a variety of other database products. He joined Oracle 22 years ago and has worked in Consultancy and the Oracle Solution centre where he was one of the team who lead the introduction of Exadata into the EMEA region. Over the last 4 years he has been in the Oracle Real World Performance team which is part of the development organisation. He administers the team's hardware and software estate. He also presents the Real World Performance Workshop across the world which is a concentrated performance related workshop. He also engages with customers with performance related issues and resolves them in conjunction with the customer and Oracle development themselves. Topics: "Controlling the Chaos – Using Resource Management for Predictable Performance" & "Successful Star Schemas"
Shasank Chavan is the Vice President of the In-Memory Technologies group at Oracle. He leads an amazing team of brilliant engineers in the Database organization who develop customer-facing, performance-critical features for an In-Memory Columnar Store which, as Larry Ellison proclaimed, “processes data at ungodly speeds”. His team implements novel SIMD kernels and hardware acceleration technology for blazing fast columnar data processing, optimized data formats and compression technology for efficient in-memory storage, algorithms and techniques for fast in-memory join and aggregation processing, and optimized in-memory data access and storage solutions in general. His team is currently hyper-focused on leveraging emerging hardware technologies to build the next-generation data storage engine that powers the cloud. Shasank earned his BS/MS in Computer Science at the University of California, San Diego. He has accumulated 15+ patents over a span of 20 years working on systems software technology. Topic: "Deep Dive into the Implementation of Oracle's Join Methods: Past, Present and Future"
Based in Canberra, Australia, Richard has been working in the IT industry for nearly 30 years, 20 plus years with Oracle Database technologies. Richard has supported and diagnosed the performance of numerous highly secure, mission-critical, large-scale applications. In 2002, he became a member of the world-renowned Oracle OakTable Network and an Oracle ACE Director in 2008. 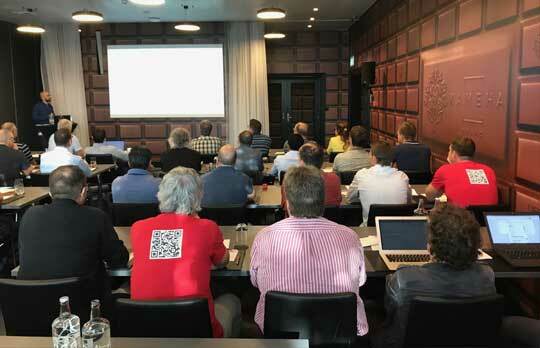 Richard is a very popular speaker and regularly presents at conferences including Oracle OpenWorld, IOUG Collaborate, Hotsos Symposium, AUSOUG InSync, ODTUG Kscope, UKOUG Conference and the E4 Enkitec Extreme Exadata Expo. He is especially renowned for his research and knowledge of Oracle indexing structures, hosts an internationally acclaimed blog on Index Internals and has developed in-depth seminars on Oracle Internals which he has presented in over some 18 countries. In 2017 Richard started his own independent consulting and training business. Topics: "Oracle Database 18c and 19c New Indexing Related Features" & "Indexing With Partitioning"
I am an IT specialist and I have been managing Oracle Databases since 2000. After some years dedicated to programming I have been specializing as an Oracle DBA covering all the aspects: data modeling, installation, migration, procedures for backup/recovery, PL/SQL, tuning and support to developers. I’m skilled in the design and implementation of High Availability architectures with RAC, ASM, Data Guard and vendor specific solution for Disaster Recovery. I have been working on engineering and on operation with complex environments, running business critical databases. I’m an active member of the Trivadis Training Center and since few years I enjoy speaking in public events sharing my Oracle experience with the audience. Topic: "The Key Role of Infrastructure in Oracle Database Performance"
Stefan Koehler follows his passion about Oracle since +16 years and specialized in Oracle performance tuning, especially in Oracle cost based optimizer (CBO) and database internal related topics. Nowadays he primarily works as an independent Oracle Database performance consultant and researcher in large mission critical environments (e.g. +10 TB databases) for market-leading companies or multi-billion dollar enterprises in various industries all over the world. He usually supports his clients in understanding and solving complex Oracle performance issues and troubleshooting nontrivial database issues on short-term contracting basis. He is also a proud member of the OakTable Network and is recognized/rewarded as an Oracle ACE by Oracle’s ACE program.Topic: "Identifying Performance Problems in a Multitenant Environment" and “How Autonomous is the Oracle Autonomous Data Warehouse?" Topic: "Troubleshooting with Oracle's Kernel Debug, Diagnostics and Tracing Infrastructure"
Jonathan Lewis is a well-known figure in the Oracle world with more than 31 years experience using the software. He has published three books about Oracle - the most recent being "Oracle Core" published by Apress Nov 2011 - and contributed to three others. He runs a couple of websites and contributes fairly regularly to newsgroups, forums, and User Group magazines and events around the world. Jonathan has been self-employed for most of his time in the IT industry. For the last 20 years he has specialised in short-term assignments, typically of a design, review, or trouble-shooting nature. He runs seminars about using Oracle all over the world and has visited more than 50 different countries to talk about, or trouble-shoot, Oracle systems. Topics: "Problem Solving with Execution Plans" & "You probably don't need ... to read a 10053"
Franck Pachot has more than 20 years of experience in Oracle Databases, all areas from development, data modeling, performance, administration, and training. All size of customers, always around databases, mainly Oracle, trying to get developers and operations collaborating on the same goal. After many years in consulting, Franck is now DBA in the Database Group at CERN, the European Organization for Nuclear Research. Franck likes to learn and share, writing articles, blogging in multiple places, and talking at conferences. Franck is Oracle Certified Master 11g and 12c, an Oracle ACE Director and proud member of OakTable Network. Franck has co-authored the Oracle Press “Oracle 12cR2 Multitenant”. Topics: "Do You Gather the Statistics in the Way the Optimizer Expects Them?" & "SQL Join: methods and optimization"
Tanel Poder is a long-time computer performance geek, consultant and an entrepreneur. He is working mostly with enterprise data platforms like Oracle, Hadoop, Spark and the underlying operating systems. Tanel has built a number of performance troubleshooting tools for Linux, Oracle and Hadoop and he co-founded Gluent, a company that builds data sharing solutions for enterprises. Topics: "Analyzing Non-Trivial Oracle Performance Bottlenecks with ASH Wait Chain" & "Latest Oracle Troubleshooting Scripts, Tools and Technique"
Dani Schnider works as Senior Principal Consultant, trainer and Data Warehouse Lead Architect for Trivadis. Since 1994, he is working with Oracle Databases (version 6 to 12c), since 1997 mainly in data warehouse projects. He is co-author of the (German) books “Data Warehousing mit Oracle – Business Intelligence in der Praxis” (January 2011) and "Data Warehouse Blueprints" (September 2016). Dani is Oracle ACE and writes about Data Warehousing with Oracle on his blog danischnider.wordpress.com. Topic: "Avoid "Horror Queries": Keep Your SQL Simple and Fast"
[SQL is a powerful and efficient query language when used correctly. But inefficient and inappropriate SQL statements can cause massive performance problems. Instead of solving such issues with additional indexes, optimizer hints, SQL profiles or SQL plan baselines, a much better and more sustainable solution is often to rewrite the SQL statements and to reduce the complexity of the queries. [The result of a parse operation is a parent cursor and a child cursor stored in the library cache. Obviously, the aim of storing them in a shared memory area is to allow their reutilization and thereby avoid hard parses. But when can they be reused? [This session will give you a “quick overview” of the variety of the latest (open source) tools that Tanel regularly uses when looking into Oracle performance problems. [The aim of this presentation is to focus on the key role played by the infrastructure in a stable and performing database environment. Like a skyscraper, a database environment requires a strong foundation. In addition, to fully exploit all available resources, a great synergy among all hardware and software layers is of paramount importance. [It's almost true to say that the only time you should read a 10053 trace file is when you don't need to. It's also probably a fairly accurate claim that the only good reason for reading a 10053 trace file is to prove that you didn't need to read the 10053 trace file. In all my years of consulting and trouble-shooting I think I've only used the 10053 trace file a couple of times to demonstrate the cause of a performance issue and suggest a work-around - but having spent a silly amount of time generating and reviewing trace files for increasingly complicated statements I found it easy to pick the bit of the trace file I needed to examine to confirm a hypothesis and explain the evidence to management (and Oracle Support). [Oracle is a complex coordinated multi-process system with layers of background processes potentially on the critical path of your application’s operations. When everything works well, you won’t notice much wasted time or surprising wait events. However, when some critical background process starts falling behind enough, all kinds of problems will start popping up. Due to impact amplification on many foreground sessions, the top-level symptoms showing up in AWR and OEM may mislead you to troubleshoot the wrong thing. When following the links of evidence all the way to the deepest process in the (wait) chain, you can construct the topology of a complex performance issue and address the root cause. You will profit from a special rate if you book your hotel room with the voucher code "PDays19". *Early Bird Price valid until May 17, 2019.  Regular Prices: Conference Ticket CHF 1.950 / 1770 USD - Live-Stream Pass: CHF 1.650 / 1763 USD. 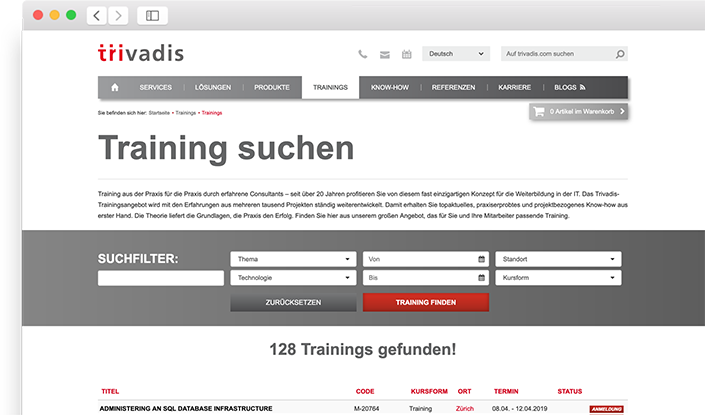 Do you know Trivadis Training ? We provide special rates for your team or for students. If you want to bring your colleagues, please contact us. You can also order your ticket obligatory by invoice.